learners from other schools on a holographic solution to the challenges they face within the education system. The name of their company is Holo-Form where her team members saw the leader in her and gave her the CEO position and responsibility to lead their business case pitch. 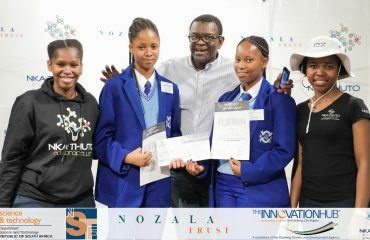 That pitch resulted in her team winning the Ultimate TechnoPreneurship prize at the Nka’Thuto TechnoPreneurship workshop. 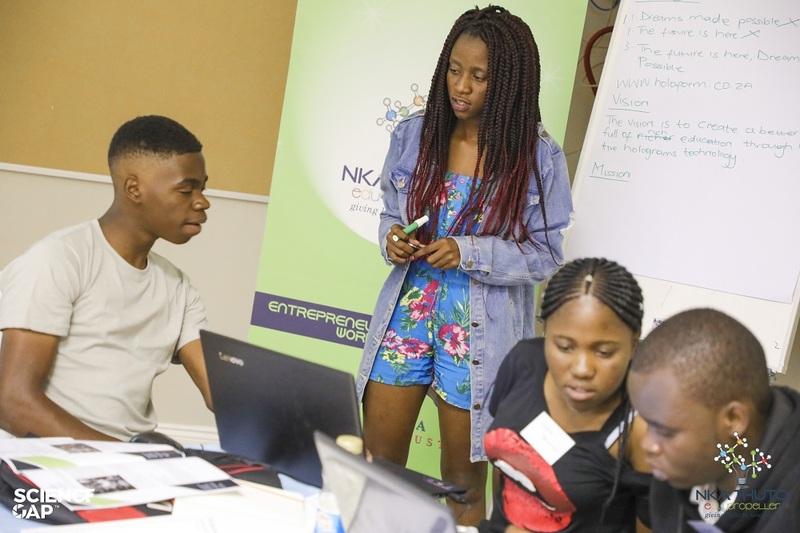 She was able to lead a business pitch for an innovation (like most of the learners chosen by their teams to pitch their business cases) that was not her initial technological solution which shows the ability of the learners in the program to adapt and apply their knowledge beyond their own solutions. This is the true definition of application of knowledge and we saw it throughout this cohort of 22 edupropellers who form the 2017 Nka’Thuto alumni. While iSTEM fields are technical, Nka’Thuto ensure that it builds the soft skills which will ultimately allow the learners to prosper. Through the program they learn additional skills such as; leadership, team work, creative thinking, problem solving, time management, to name a few. We are thrilled to have these 2 edupropellers in the Nka’Thuto family as we are all the learners in the program. We wish them all the best and will keep an eye on them as they progress and continue being deliberate about taking charge of their futures.